Your local pharmacies and the San Luis Obispo County IWMA have teamed up to provide a free disposal program for household over-the-counter and prescription medications, including pills, ointments and lotions. Any resident of San Luis Obispo County may dispose of their unwanted medicine through the program. Most pharmacies will offer you a free prepaid, pre-addressed envelope when you pick up your prescription. Use this envelope to mail unwanted medicine off for safe disposal. You can also get a free mail-back envelope if you previously purchased your prescription from the pharmacy. Other pharmacies have kiosks where you can discard unwanted medicine. Some kiosks cannot accept controlled substances. At those locations, the pharmacy will provide a mail-back envelope for the proper disposal of controlled substances, such as Tylenol with Codeine, Valium, Vicodin and Percocet. See the full list of commonly controlled substances. The following items are NOT accepted: illegal drugs, thermometers, and personal care products (shampoo, soap, etc.). Needles and sharps cannot be disposed of with medicine, but can be disposed of in free containers available at San Luis Obispo Country pharmacies. Businesses and health care professionals cannot use this program. In 2015, prescription opioids killed dozens of SLO County residents. 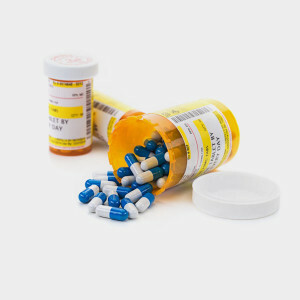 The SLO Opioid Safety Coalition is aiming to stem the epidemic. The diverse group of experienced local health care professionals, first responders, and community members has compiled a data report on opioids in SLO County. Click on your community to find a pharmacy near you. Each listing indicates whether the pharmacy uses the kiosk or the mail-back envelope.